For decades, British politics has been drifting apart from British society, and the new year offers no possibilities of happy reconciliation. Every victory scenario in the 2015 general election will cause growing instability, weak legitimacy and sharpened social conflict. The happiest scenario, for some in Scotland, is an outright Labour win. But any euphoria at removing Cameron and Clegg will be swiftly swept away as Labour imposes a near-identical cuts agenda. Massive discontent in the trade union movement with Miliband’s failure to stop austerity and the election of Jim Murphy in Scotland puts the historic trade union link in serious jeopardy. With Labour in government, the gulf between working-class people and politicians will be yet more visible. And, most of all, a Labour victory will depend on the UK Independence Party stealing votes from the Tories, showing that large tracts of England have moved right, not left. To say the least, this offers a very weak mandate for social democracy. And you can add to this Labour’s failure to offer consistent answers on any of the broader international crises of Britain. Ukip and the Tory right have grown on discontent about the undemocratic alliance we actually get to vote on, namely the European Union. Meanwhile, other parts of the UK, for example the constituencies surrounding the nuclear arsenal at Faslane, are apoplectic about the undemocratic alliance we never get a vote on: the American one. Under Labour, we embroiled ourselves in spending £2,000 per household on holding down Helmand and more besides on Trident and Iraq. Economically, we got zero in return. How will Miliband reconcile this with his cuts agenda? A second scenario, a Labour-led coalition, simply intensifies these problems. Forming government with the Lib Dems means hitching the embattled and unpopular Miliband to the most widely loathed senior politicians in British politics. A coalition with Ukip exposes all the international fractures, besides intensifying Labour’s slide into anti-immigrant populism. And, as for bedding with the SNP, this means, at the very least, a U-turn on Trident, if not – from a Labour viewpoint – much worse. These are the most pleasant scenarios. By contrast, any Tory victory sanctions a colossal project of social engineering designed to make ordinary people’s lives ever more precarious. Among the many horrors lurking in their manifesto is a ban on the right to strike (for “essential public services”) and an EU referendum. The latter puts huge pressure on UK capitalism, exposing tensions between the hysterical back-benchers of the historic party of British business and the actual interests of British multinationals. Finally, a Ukip-Tory coalition signifies the death of any conceivable illusion of British tolerance and multiculturalism. Both sides of the referendum on Europe will dance to the tune of the right-wing, anti-immigration politics of Ukip and the British tabloids. Since the Scottish electorate have historically been more favourable to the European Union, an EU-exit (or even a narrow result) would highlight the growth of regional blocs. So 2015 will deliver weak and chaotic government at Westminster. As Aditya Chakrabortty pointed out in the Guardian two weeks ago, in 2010 “no party won that election – not Labour, not the Lib Dems, and certainly not the Tories”. In 2015, we can be sure that no party will win either, and any government that is formed will preside over a worsening crisis of legitimacy. It will be a weak government trying to implement even more brutal austerity. We can be sure, too, that inequality will worsen, that geographical divisions will grow, and that social security will be finally replaced by philanthropy. After decades of slow decline, the social alliances which have propped up the two-party system at Westminster are collapsing. The 2010 general election was not an aberration: it is now the norm. Although first-past-the-post produces undemocratic anomalies, British pundits contented themselves on a tradition of “moderate but strong” government. That illusion is over. What we have now is mounting factional divisions within what Tariq Ali described as an “extreme centre” of British politics. The point is not simply that this involves us in morally compromising indifference to the suffering of refugees or the victims of UK foreign policy. More bluntly, the problem is that this system is inevitably unstable and offers no hope of happy resolution for anyone. The democratic revival in Scotland has simply added to this crisis. There is a growing distance between Scottish ideas and the familiar refrain of “voting Labour to keep the Tories out”. During the referendum, the myth that Scottish votes matter in UK elections was roundly exposed: in reality, Scots influenced the result only three times in post-war UK politics. In every other election, the outcome would have been the same without Scotland’s votes. Westminster will find it increasingly difficult to ignore an enormous SNP membership and up to 47 per cent of Scots who plan to vote for them. The British establishment, embroiled in their own obsessions with Europe and immigration, simply don’t understand this. After the referendum, Westminster elites had a small opportunity to go beyond the “vow” and really reform our creaking constitution. But since the very morning of 19 September, they slammed this door firmly shut. An anaemic Smith Commission and a growing identity crisis over English representation in Britain are simply reflections of this indifference. Time is running out for the current political settlement. The combination of mounting economic and social crises, alongside the political crisis compounded by the 2014 referendum, means 2015 can only accelerate Britain’s legitimacy problems. 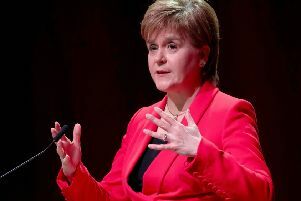 Regardless of the outcome, Scotland will become increasingly marginalised, tied into a failing political system which is itself subservient to economic policies dictated by speculation and property prices near London. Knowing this, progressives in Scotland must respond responsibly. While this chaos reigns across Britain, we must hold our own politicians to account. With Westminster in tatters, we cannot allow our own politicians to shift the blame for every cut in that direction. Scotland must use our growing autonomy to create a new culture of non-tribal but critical politics, in which social justice and internationalism are not far-off concepts, awaiting independence to unleash them. Westminster is failing, so we must do better, now.